Prepare to join Knights of Pen & Paper 2 in a turn-based, retro style, pixel-art adventure full of danger, intrigue, and semi-appropriate cultural references! The game is now free, with a fully reworked combat balance and ingame econom...MorePrepare to join Knights of Pen & Paper 2 in a turn-based, retro style, pixel-art adventure full of danger, intrigue, and semi-appropriate cultural references! The game is now free, with a fully reworked combat balance and ingame economy. More of everything! We will continuously improve the game, be sure to keep the game updated! Players portray both party and game master playing a tabletop RPG, and must assemble both their characters, and the challenges they will face. "There's something genuinely pleasant about Knights of Pen and Paper 2, especially if you're a fan or tabletop role playing. 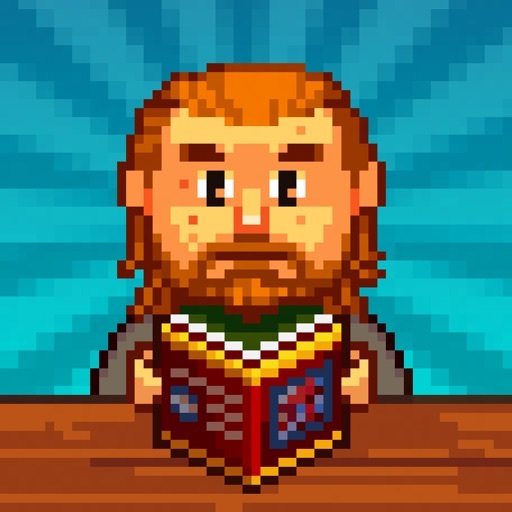 It pokes fun, but it's always warm towards its subject matter.”- Pocket Gamer "a great little RPG that presents excellent value for money with much to love.”- Continue Play Main features: • The ultimate retro role-playing simulation - again! • Fully customizable party, from the players to the game room. • Expanded equipment and crafting systems. • All-new campaign featuring dozens of locations, sidequests, and dynamic dungeons.